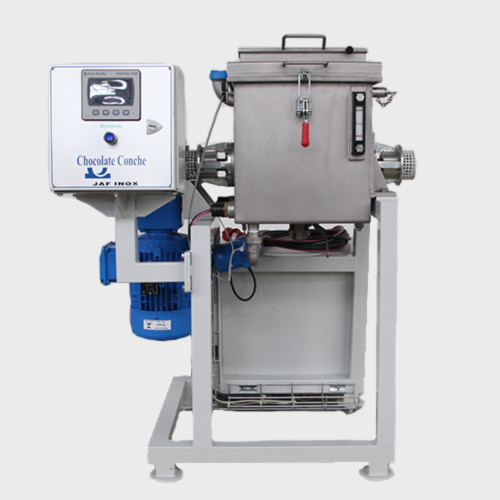 All-in-one solution for pre-grinding, mixing, refining & conching with a capacity of 50kg/batch; temperature control, and exchangeable blades made of hardened steel. 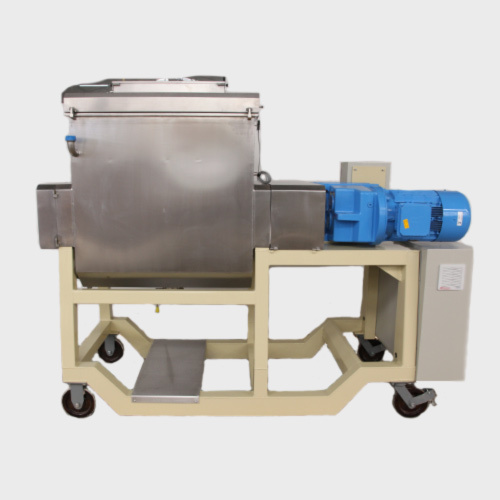 The machine consists of a fixed mixing/grinding chamber, lined with grooved plates, jacketed for temperature control or cooling. 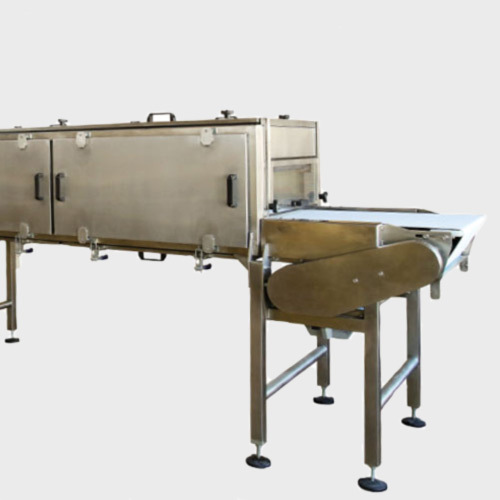 The rotating, exchangeable blades made of hardened steel are pressed against the grooved plates by an adjustable, manually operated pressure system. Maximum and minimum pressure levels are pre-set to ensure the machine does not overload. 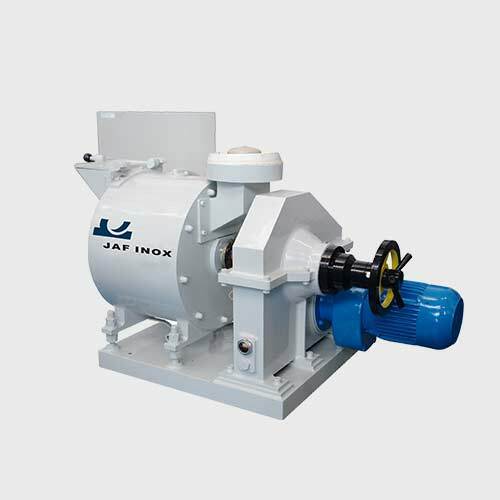 The drive mechanism of the blades consists of an electro motor and a heavily constructed reduction gearbox, arranged separately from the grinding chamber. Control unit with auto temperature control. Pressure control by motor amperage.